This post is sponsored by Kia Motors America. Last week I had the pleasure of joining the Kia USA family in Pasadena to celebrate their newest vehicle and official flagship, the 2020 Telluride. 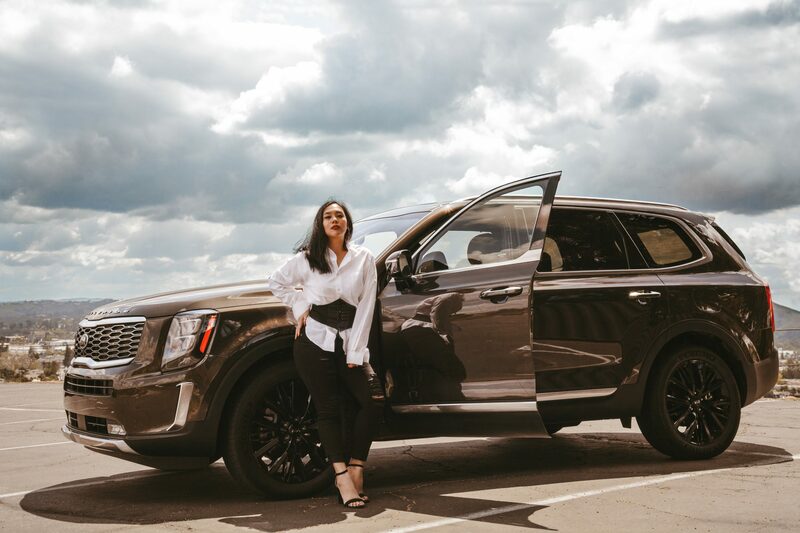 If you know me personally, you know I have an affinity for luxury vehicles as well as advanced car technology, so believe me when I say that the visual design, luxurious interior features, engineering, and price of the Telluride is the stuff of dreams. Officially the largest Kia ever, the Telluride also boasts the largest passenger volume in the midsize SUV class, seating up to 7-8 people depending on 2nd-row seat configuration, and also features more standard advanced driver-assist technology than any other midsize SUV. Its offerings ring true to its 2019 Super Bowl commercial titled “Give It Everything”: it’s advanced, elegant, full of brawn, and offers as much luxury (or possibly even more) than competitors in its class like the Toyota Highlander, Honda Pilot, and even luxury SUVs like the Acura MDX and the Infinity QX60. The Telluride is 196.9 inches long, which makes the vehicle longer than the Toyota Highlander, Honda Pilot and the Nissan Pathfinder. And at 78.3 inches wide, taller passengers can stretch their legs in not just the 2nd row, but the 3rd row as well. Imagine how game-changing this will be when traveling to state championships with ever-growing teenage athletes or taking a road trip to Las Vegas with your best friends. The Telluride also has more cargo volume behind the 3rd row than the Chevrolet Tahoe, Mazda CX-9, Dodge Durango, and many other comparable SUVs with ample cargo space. 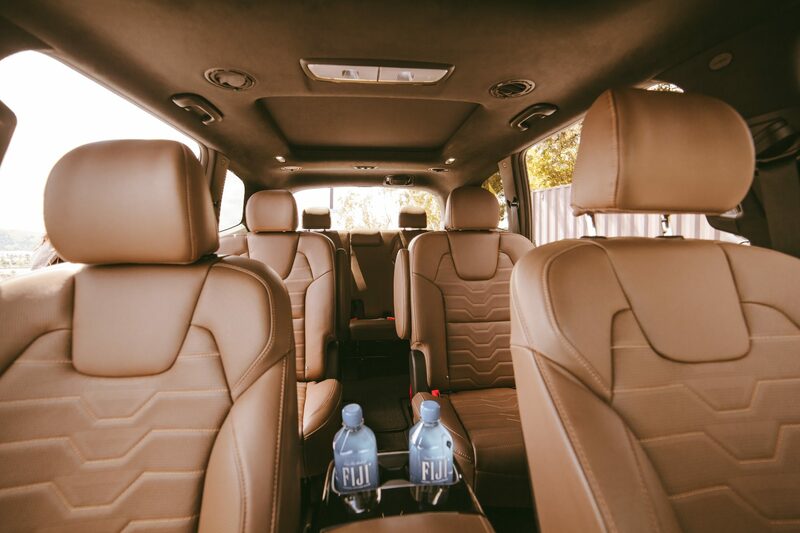 Whether it’s grabbing groceries for a family of 8 or packing up all your camping gear, you can cater to both your suburban and outdoor needs. 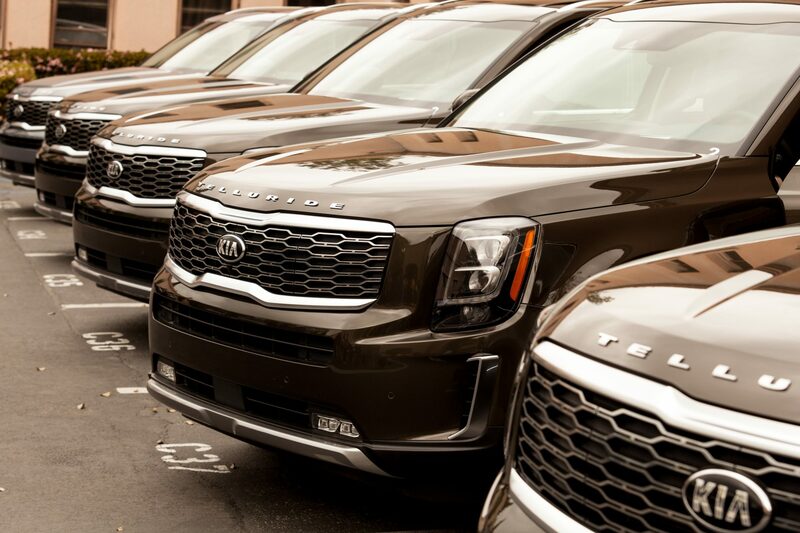 Although the Telluride is one of the largest in its class, it doesn’t feel like it when you get behind the wheel. It’s packed with a wide array of driver assistance features that can help even the most nervous of drivers navigate through tight spots and sticky situations on the road. Avoid rear-ending other drivers or pedestrians with Forward Collision Warning and Forward Collision-Avoidance Assist, in which the vehicle will automatically apply the brakes in proximity to an object in front. In addition to large rear windows, the Telluride basically has no blind spots, which is one of the biggest drawbacks for larger vehicles. Blind Spot Collision-Avoidance Assist in the rear and a Blind Spot View Monitor tracks vehicle lane changes and applies brakes if an object is in your path. 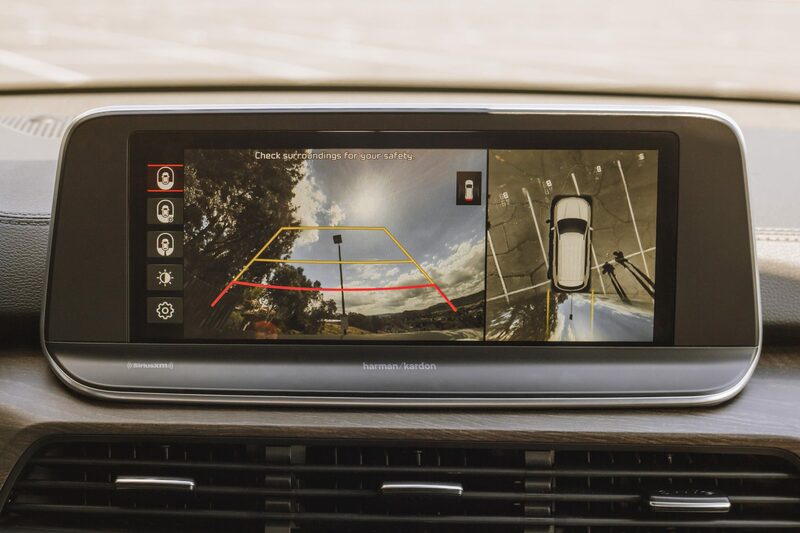 Parallel parking and fitting into tight parking spaces is now a breeze: the Surround View Monitor shows an aerial view of your car on the touchscreen display when pulling into a parking space, and a Parking Distance Warning will let you know if you’re too close to surrounding objects – both in forward and reverse. You can also rest assured that you’ll stay in your lane on winding roads with both Lane Keeping Assist and Highway Driving Assist, which uses radar systems to interpret lane markings and gently correct your steering if you veer out of your lane. Aside from my Ford F-250, I personally shy away from larger vehicles since they often feel like driving a boat, but the Telluride doesn’t feel overwhelmingly large. It marries both comfort and utility within a single driving experience: the steering is responsive, yet the ride itself is smooth. The Telluride has 4 driving modes – Smart, Eco, Sport, and Comfort, which all utilize different powertrain, drivetrain and steering settings depending on the driving experience desired. Eco provides better fuel economy, Sport tightens up the steering and stability, Comfort offers a plush suspension, and Smart automatically tailors to fit the driver’s driving style. During my drive, I set it to Sport mode and slammed on the accelerator entering a loop freeway ramp, and the Telluride held traction extremely well through the loop while also getting up to freeway speed with no issues. The steering responsiveness was immediate when making quick lane changes as well, but still managed to prevent whiplash or nausea-inducing swaying thanks to its four-wheel independent suspension. Additionally, the Telluride has a standard four-wheel drive with an optional all-wheel drive system available for an additional $2,000. And of course, in lieu of the snowy terrain in Telluride, Colorado, the Telluride also has a Snow setting for wintery roads which splits the power 50/50 between the front and rear axles when driving under 40mph on muddy or snowy roads. 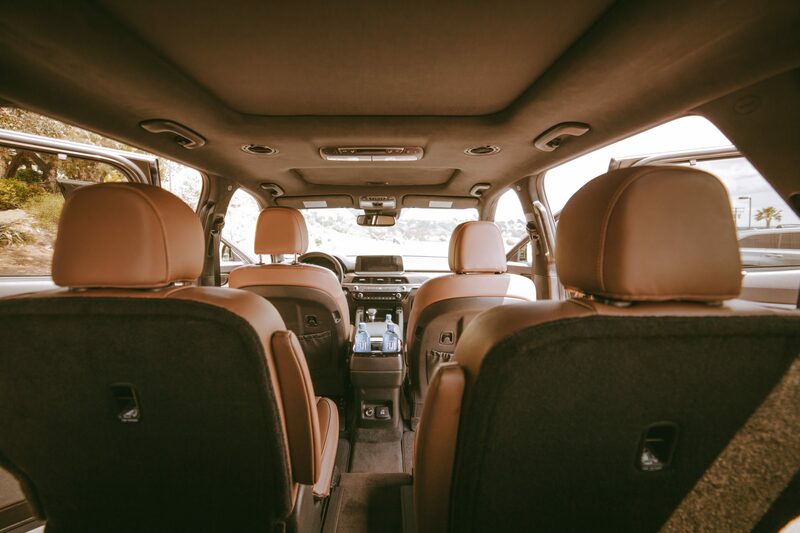 The Telluride is an outright perfect vehicle for long road trips or family vacations with kids who can’t sit still. 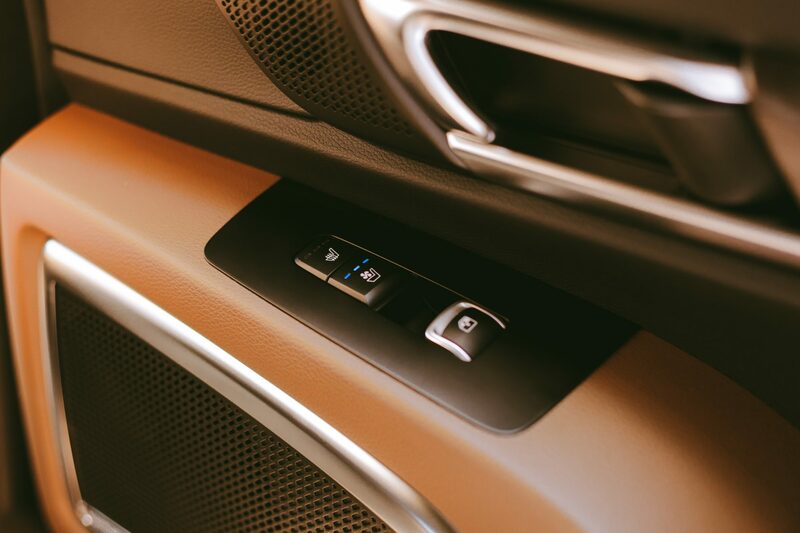 The base level LX and S trims have plenty to offer: rear climate control, a leather-wrapped steering wheel, Bluetooth technology, and 5 USB ports, so everyone can stay connected with their smart devices. If you’re looking for even more, the EX and SX trims offer a complete luxury package that you’d normally pay 3 to 4 times more for competing brands. On top of a 10-speaker Harman/Kardon audio system, Apple CarPlay and Android Auto, there are 6 total USB ports – 2 per row. Parents with finicky kids will find the Driver Talk feature on the EX and SX trims useful: drivers can broadcast audio messages through the stereo system, allowing the 2nd and 3rd row passengers to hear the message (“Jane, stop hitting your brother with your Barbie!”). Conversely, if your passengers are sleeping, Quiet Mode cuts audio output into the 2nd and 3rd row while still playing in the front row. All trim levels are complete with a sound-deadening design and a sound-absorbing windshield, so passengers can nap with minimal exterior noise. The LX and S trims offer a sizable 8-inch infotainment system display, but the EX and SX trims feature a wide 10.25-inch display screen, complete with navigation. An additional bonus for the EX and SX: wireless charging for 2 phones in the front row and multi-Bluetooth wireless connectivity. The interior is far from lackluster: in addition to the wood grain and leather dash board, Kia also made the decision to ditch a cloth interior and give the Telluride everything – even the entry-level models. 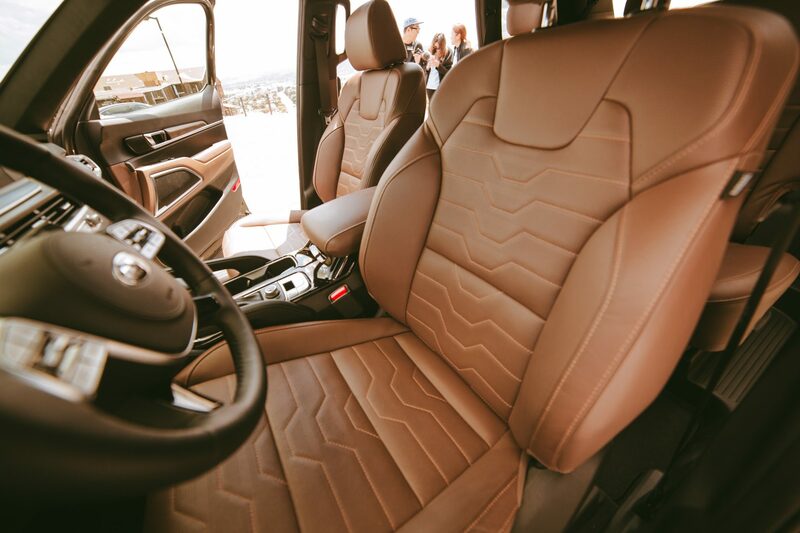 The LX and S trims feature SOFINO leatherette, which looks and feels like leather, is just as durable, and is just as luxurious as the Nappa leather in the EX and SX. For extreme heat or cold weather, the EX and SX models also have 3 levels of both heating and cooling seats for not just the front row but rear seats as well. The 2020 Kia Telluride has 4 available trim levels: LX, S, EX and SX. And you’ll be ecstatic to know that starting MSRP is lower than the following vehicles: Buick Enclave, Ford Explorer, Jeep Grand Cherokee, Mazda CX-9, Subaru Ascent, and Toyota 4Runner. For the price, you get much more than you pay for. The Telluride has features you can find in other makes and models for a literal fraction of the price. Prices below exclude a destination charge of $1,045. So what’s the verdict? As a former car salesperson, service assistant, and car geek with a penchant for ballin’ on a budget, I have to say that Kia’s flagship Telluride is a win in my book. The car boasts style, subtlety, class, and luxury with an affordable price tag for many. Attainable luxury finally exists, and Kia made that dream come true. 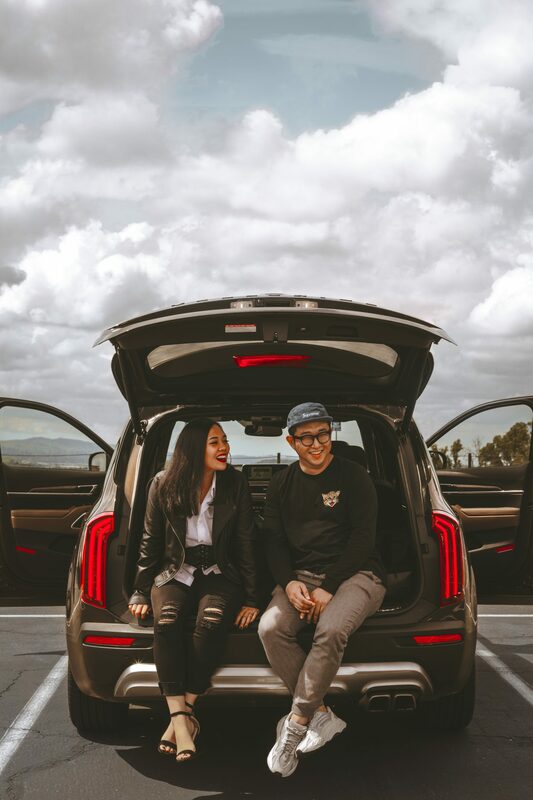 Click here to learn more and find a Kia Telluride near you. Don’t forget to follow me on Instagram and subscribe to my newsletter below for more tips and tricks to ball on a budget.